SilverKey Executive Stays 20018 D Square OMR provides rooms that have been decorated and designed with a lot of attention to minute details. 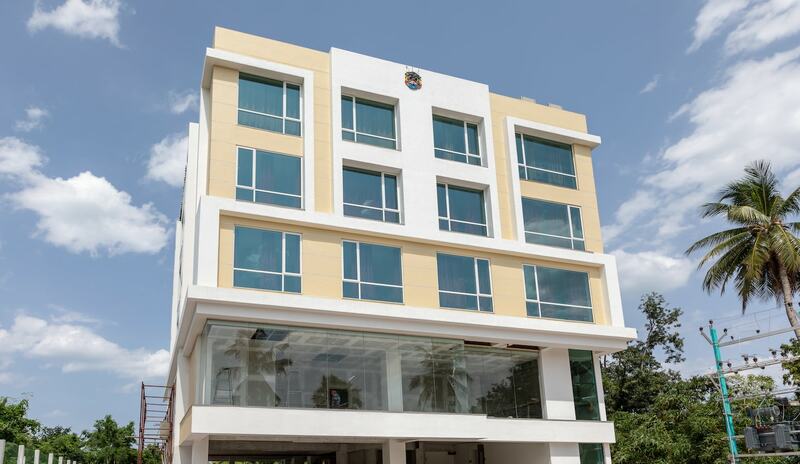 The hotel is in Egattur on the Old Mahabalipuram Road in Chennai. The rooms are spacious and have been provided with large windows. The rooms are well-lit and have been provided with long and thick curtains. All walls in the rooms have been painted in neutral hues. The floor is wooden. The additional features provided by the hotel are CCTV cameras, free Wi-Fi, an uninterrupted power backup source, parking provisions, and card payment in all forms. The in-house facilities comprise a common kitchen, a common seating area, and a restaurant. The front desk service is also elegantly decorated and is handled by helpful and experienced staff. The hotel is surrounded by a number of restaurants such as Domino's Pizza, Spice It- IBIS Hotel, LV 1 Hookah Lounge, and The Square- Novotel.